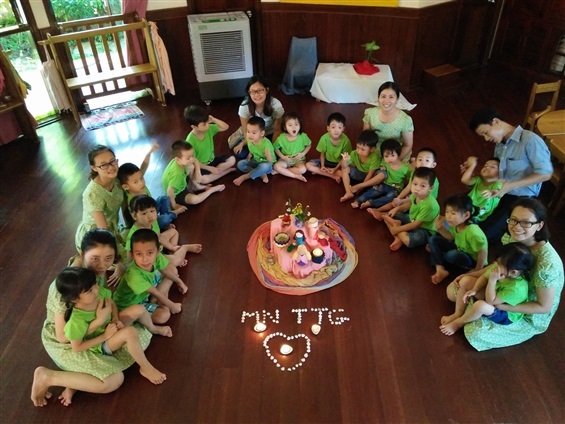 In Vietnam, at The Peaceful Bamboo Family, Hue, the festivities of Eurasia will take place on the 12th and 13th of April 2018 with 2 days of ELI training and on the 15th of April 2018 a full day of joyful celebration with our friends and partners. Dear friends if any you wish to join us please let us know! In Switzerland the dates for the 20 years festivities are : 21st and 22nd of September 2018 for an ELI workshop and a festive and joyful celebration on the 23rd of September. We are currently developing a detailed program is and you will receive updated information soon! Please keep the dates in your diary! 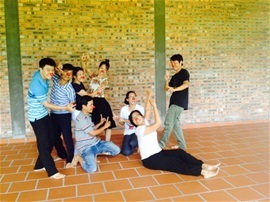 Based on decades of successful practice in the fields of education, special education, social therapy, ecology and social innovation, Eurasia Learning Institute for Happiness and Wellbeing (ELI) offers experiential programs leading participants from inner transformation to engagement for a happy and sustainable world. 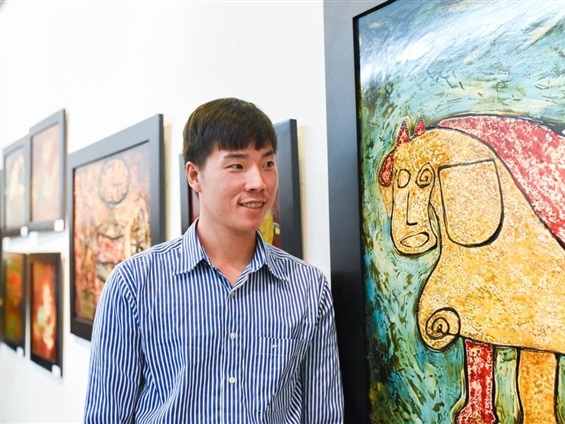 In 2015, Eurasia and the university of Hue worked in partnership to launch a pilot project called “A Call to Care”, whose aim was to develop the social and emotional skills of primary school children. The efficacy of this project has been scientifically proven and has encouraged us to develop it further. Eurasia will develop a training program for primary and secondary school teachers, which includes the Happy Schools framework, which is promoted by UNESCO. This program will be put in place in the whole province of Hue. 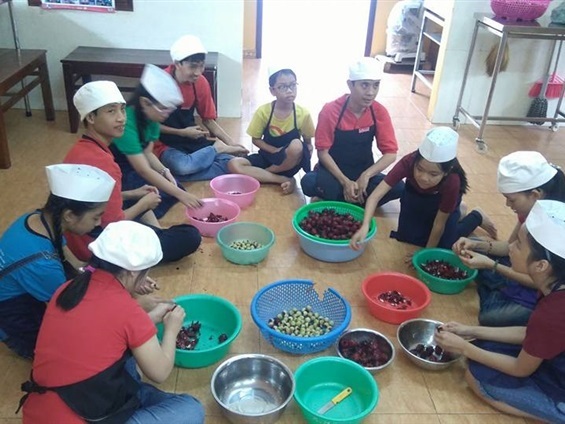 An increasing number of primary and secondary schools come regularly to The Peaceful Bamboo Family (TTG), our living and working community for people living with disabilities. They come to learn about ecology, social work, handicrafts and artistic activities. This program has been a great success in terms of integration, as the young people living with disabilities are the ones who introduce the school children to the different activities in TTG. Thanks to donations, we have been able to buy the material, which allows us to cater for hundreds of children on a regular basis. We have also been able create a space which is adapted to the needs of this project and which allows the young people of TTG to do their work in an independent manner. train themselves by working directly with the more experienced Eurasia team and also following diverse trainings such as the Gross National Happiness Master Class, project management, community life and social and emotional learning. 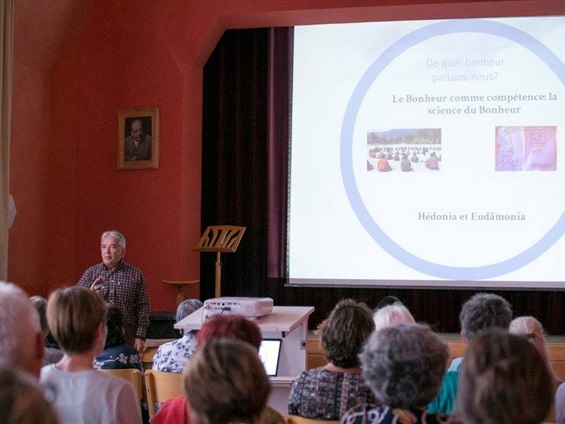 develop an ELI Learning Centre in Switzerland following the success of a seminar called “Youth for Change” for young adults, which was held in July 2017. This will take place again in 2018 and will include coaching for young people who are engaged in implementing their own personal projects. Another project which is currently being developed is a living and educational community with a social vocation in Switzerland. In November, five adults and three children moved into and started renovating a farm for a social community in Gimel, Switzerland. This project aims to change our way of thinking and living, to create healthy and sustainable relationships and structures for people and planet. The values of this community are aligned with the values promoted by Eurasia, but it is an independent structure. Collaboration with Eurasia the future could include the domains of education, training, opening of their doors to refugees and the management of human resources. 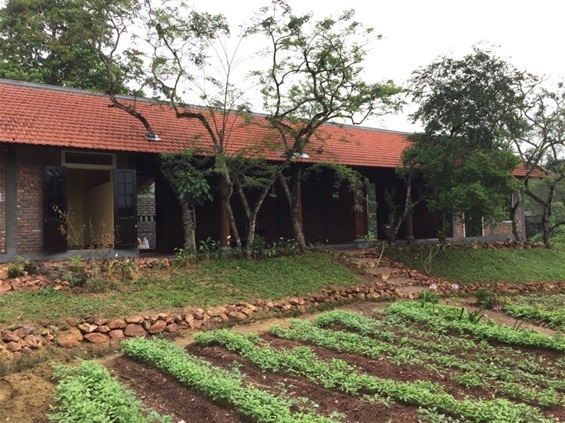 This community, like the Peaceful Bamboo Family in Vietnam, has the potential to become a training and experimental Learning Centre for the ELI training programs. 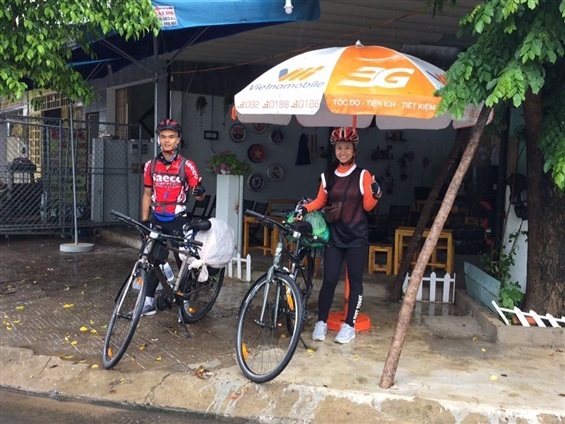 It is also a place where the young people, who are part of the ELI Learning Lab training, could come to learn about life in a community with a social vocation. Having shared with you all this wonderful news, we wish you a Merry Christmas and a Happy New Year, full of hope and positive energy, and once again, express our deep gratitude for your generous support.